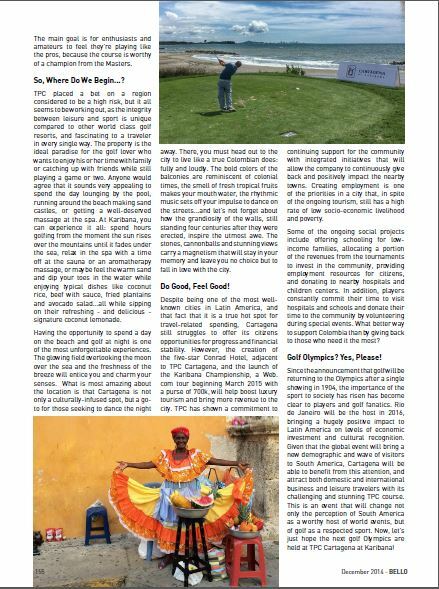 Travel Feature: TPC Cartagena for the DEC Issue of BELLO MAG. The cover was Lyndie Greenwood from Sleepy Hollow. Subscribe via iTunes, Google Play or Amazon Kindle to download the latest issue.